Zenport Q19 Euro-Pro Small Horticulture Pruner, .75-inch Cut, 7.75-Inch Long, The Zenport Q19 high-tech 7.75-inch (19mm) long horticulture pruner is designed for the pruning and training of vines and fruit trees. 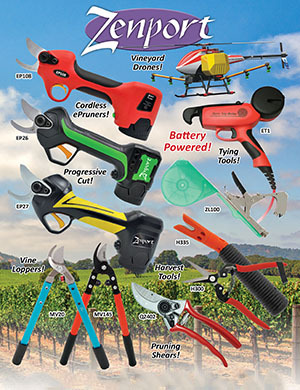 Designed with an ergonomic grip for smaller hands of a gardener, vineyard and nursery worker. The easy-lock pruner easily cut 3/4-inch (20mm) limbs.